Apple Cider Vinegar is an effective weight loss aid. Apple cider vinegar is considered as a super food due its numerous health boosting benefits. It is packed with enzymes, probiotics, and trace minerals has been shown to lower blood pressure, blood sugar and can also serve as an antibacterial when treating wounds. It can also be used as a “cure” for hiccups, acne, heartburn, a sore throat, and bad breath, among countless other ailments. The Bioscience, Biotechnology and Biochemistry journal published a study in 2009 stating that drinking Apple Cider Vinegar for just three months can cause significant declines in body weight, abdominal fat, waist circumference, and triglycerides. It can also improve heart health. What Does it Do To Make You Lose Weight? Apple cider vinegar contains pectin, which could act as an appetite suppressant. Pectin is a carbohydrate, and is said to help the stomach feel full. This is why it should be taken before meals. What Does Apple Cider Vinegar Do To Make You Lose Weight? Apple cider vinegar prevents uncontrollable sugar spikes and crashes that make you want to snack between meals. When blood sugar is stable, it’s much easier to stick to diet and eat only when actually body needs it. The beta-carotene present in Apple cider vinegar helps to break down and remove the stored fat from the body. Apple cider vinegar when taken along with honey, it becomes an excellent remedy for insomnia. Lack of good sleep can increase ghrelin – a hormone which is responsible for stimulating hunger pangs. Apple cider vinegar triggers brain for a better sleep and thus regulates hunger and stress hormones. Which brand should one choose ? Bragg Organic Apple Cider Vinegar is recognized worldwide as the best quality Organic Apple Cider Vinegar product. It has been featured in leading magazines, publications, health books, radio and television shows including Oprah Winfrey Show with Dr. Oz and The Doctor. Heinz is another good brand. One could also choose from any local brand, but must be organic. The Organic one would be unpasteurized or raw and will have loads of good bacteria. It will be pale in color, cloudy and sediments would be present. Do not go for synthetic one. Approximately 230ml of lemon or freshly squeezed orange. Mix the ingredients together and sip before meals. One could just add a teaspoon of Apple cider vinegar to a glass of water and sip it before meals. Apple Cider Vinegar is not only valuable for personal health and wellness, but also is a natural beauty aid. It helps to keep skin look healthy, vibrant and youthful. It is also an effective skin cleanser, toner and soothes sunburns. Apple cider vinegar is very acidic and if taken in the wrong doses, it can lead to tooth erosion. Also the amount of apple cider vinegar for weight loss taken per day is important. Too much Apple cider vinegar, that is more than 1 to 2 tablespoons per day, may decrease potassium levels. 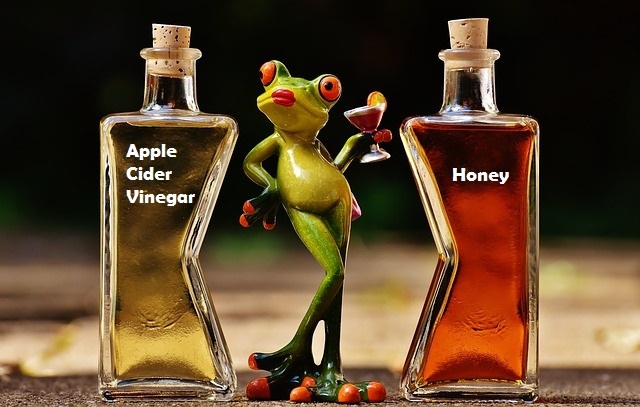 Apple cider vinegar can sometimes irritate and injure the throat, esophagus and other parts of the digestive tract, when taken in concentrated form or in large amounts. Lastly, vinegar can interact with other prescribed medications, especially laxatives, diuretics and drugs for diabetes and heart disease. Hence, if on medication, it’s really important to check with doctor before taking Apple cider vinegar. Apple cider vinegar is not a magic potion, but this ancient ingredient can lend a helping hand in managing weight problem. 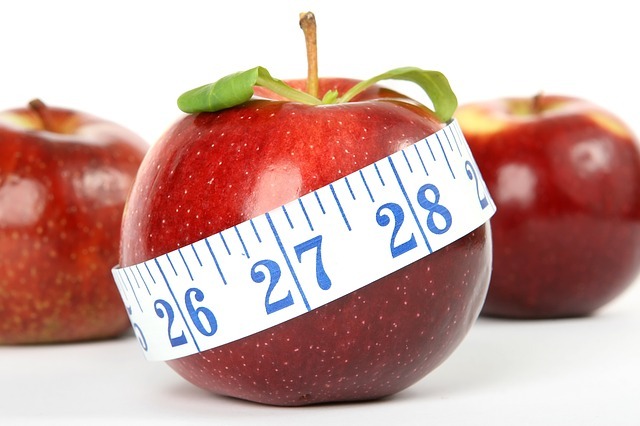 With Apple cider vinegar quick weight loss is not possible. Combine it with healthy diet and exercise to see amazing results….. Sounds amazing, of course keeping in mind the precautions. Apple cider vinegar is very useful but never heard of so many benefits especially for weight loss. Thanks for sharing its benefits. I had tried apple cider vinegar for a month. For me it was 2 tablespoons mixed with 2 tablespoons of honey in 2 glasses of warm water every morning after waking up. This post reminds me to go back to it again. I am not able to share this post on twitter because it is showing via @Shareaholic instead of your handle. I have been reading about the benefits of Apple Cider Vinegar for a while now. Your post gave my knowledge better clarity. Thanks for sharing. I started taking two tablespoons a day a couple weeks ago and can’t wait to see if it works. I had never heard all of this science behind it – such powerful stuff! I also add a teaspoon of cinnamon to my mixture of vinegar, lemon juice, and honey. Have YOU tried this? What was your personal experience? How do you know it works? I am yet to start with it, but I have friends who have used it. For some it worked well and helped to loose couple of Kg, but for some it did not suit. I used apple cider for making many of my face packs. It is good for skin if suits you best. Never heard about its weight loose benefits. Will try this one for weight loose also. Thanks for sharing this information. I had heard of its benefits but didn’t have any first-hand experience shared with me. Guess, one needs to tread carefully so as to get the desired result from it. Nice and detailed post , I have used Apple Cidar Vinegar , Its so good , Best to use it in a Salad dressing . I really have to indulge into this diet plan really soon though. I am a HUUUUGE fan of ACV! I have it every morning with honey and warm water – and use it in my facepack too 😛 as and when needed! ACV is really effective. It makes skin so good and shiny. I’m very much into weight loss programs these days. Doing Yoga, walking, cutting down sugar and salt. I think ACV will help me reduce further. Thank you for letting us know. I had heard number of benefits about ACV so bought one. Now use it for weigthloss and for hairs. This is all the talk these days… i have been wondering about it – so its just at the right time i found your post detailing so nicely the information i needed to know! Thanks! Branda are selling ACV like a maic potion.. Thanks for throwing some light in this matter..
Apple Cider is such a little known product with humongous benefits. I particularly love adding it to my salads. 🙂 I love your idea of the drink before meals! Te moment I see the words ‘weight loss’ I jump in and read the piece. I did try Apple Cider Vinegar – but only in the mornings on an empty stomach and without honey. I found it too tart for my taste. Must try adding honey and before meals. I have been drinking apple cider vinegar mixed with honey and water first thing in the morning. Not sure now if thats the right time. But the benefits I hear are immense. Nice information here. Will look out for the organic brand you have mentioned. And will keep in mind consuming it before meals. I drink green tea with honey for some years now for both health benefits and weight loss. After reading your article, I have an addition. You have summed up all the pros and cons well in the article. I completely agree with what you stated. Have been taking apple cider vinegar in lukewarm water each morning since June and can feel the health benefits such as you stated. What does it taste like? Also, I’ve heard it is beneficial for this who have acid re-flux. Wow! I have been reading about the benefits of Apple Cider Vinegar. Great tips! Your post gave my knowledge better clarity. Thank you for sharing such an amazing post! Buying Apple Cider vinegar the next time I am hitting the stores. This is informative. Had no idea that Apple Cider could do such wonders, thanks for sharing this. I heard a lot about apple cider vinegar. Luckily, I don’t have weight indues.. 🙂 But someone told me that its good for season allergies too. Yet to try it. Thank for the post.Happy to join you in Alexa Campaign. Have been reading about the benefits about Apple Cidar Vinegar lately and motivated to try it for sure. These kitchen gems prove so much more beneficial than those trending fad diets. There is a bottle of apple cider in my refrigerator but I never knew it was so wonderful. Let me start reading more about it. Thank you for stopping by. Happy to know that my post is useful to you.